Since its founding in 1926, Jos. L. Muscarelle, Inc. has put reputation and quality over profit. Jos. L. Muscarelle, Inc. is now in its 86th year of developing first-class commercial shelter of every asset class for such tenants and Fortune 500 companies like Prudential Insurance Company, DuPont, IBM, Hertz, BMW, Thomas J. Lipton Inc., The Bergen Record, Port Authority of New York and New Jersey, ADP, The Rouse Company, Marriott, Sony, Merck, Mack Trucks, H. J. Heinz, GSA, Rutgers University, The Home Depot, Barney's, United Technologies, Elevator Products Corporation to name just a few. Jos. L. Muscarelle, Inc. considers its past the building foundation of its future. With an intimate knowledge of the interdisciplinary nature of the real estate development and investment process, it is seeking to build further on that platform. As with any mature industry, inherent shifts will take place. Over Jos. L. Muscarelle, Inc.'s 86-year history, it has operated and prospered through the shift from entrepreneurial to institutional, from gut-instinct driven to information driven, from non-standard to standard, from many to few, and from illiquidity to securitization. Jos. L. Muscarelle, Inc. has been in business for four wars and has survived 12 recessions and one depression. It has been said that one of the best ways to anticipate the future is to understand and study the past. Here at Jos. 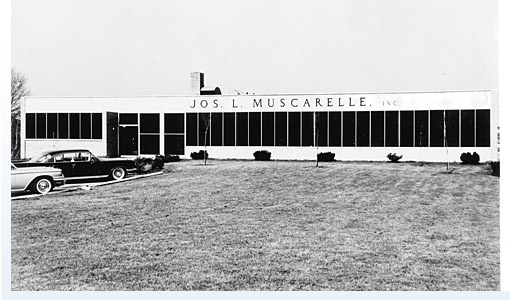 L. Muscarelle, Inc., its principals and employees all have a keen sense of where Jos. L. Muscarelle, Inc. has been and where it is going, and that history repeats itself. LIBERTY CENTER IS A PRIME EXAMPLE OF OUR SUCCESS. Liberty Center, deemed by Pittsburgh city officials as "the crown jewel of Renaissance II," incorporates the 618-room Westin Convention Center Hotel and the 27-story Federated Investors office tower. Both are located above a four-story base containing the hotel's glass atrium, as well as three restaurants, a ballroom, meeting rooms, a health club, a 30,000-square-foot retail shopping arcade, and underground parking for 580 cars. 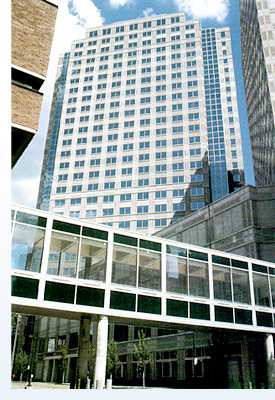 An enclosed pedestrian bridge connects the hotel with the Pittsburgh Convention Center.